2 Bed And Breakfasts in Chelmsford. 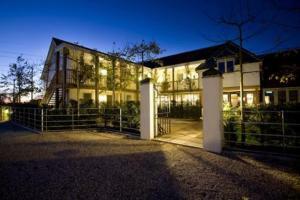 Choose from 2 bed and breakfast / guest houses in Chelmsford. Shown below a just a selection of the B&B accommodation available. To search within an area please use the menu on the right. The Lion Inn - An independent hotel with a continental feel, the Lion Inn has a stylish bar, an elegant bistro-style restaurant and spacious air-conditioned rooms flat-screen TVs and free wired internet. For many years, the Lion Inn was a traditional pub. Now, after a stylish yet sympathetic refurbishment, it has been transformed into a contemporary bistro and bar with luxurious en suite rooms. All of the deluxe air-conditioned rooms have modern flat-screen TVs, tea/coffee making facilities and free wired internet access. Some of the rooms have balconies overlooking the garden, while others have direct access to the garden via their very own terrace. Stylishly decorated with antiques and salvaged furniture, the bar has a light, contemporary style. A natural extension to the bar area, the restaurant maintains this elegant mix of old and new. Full-height windows offer fantastic views of the terrace and the menu is based on good old traditional pub food with a modern contemporary twist. The Windmill Inn - This traditional inn in rural Essex is 10 minutes from Braintree and Chelmsford, 15 minutes from Stansted Airport. 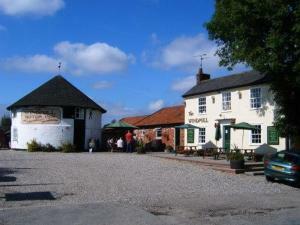 The Windmill Inn has a secluded garden, a relaxed bar, and a restaurant serving home-cooked meals. Each room has free Wi-Fi, is comfortably furnished and decorated in a farmhouse style. Close to the inn is The Essex Way, a popular footpath that runs from Epping to Harwich. Four rooms are within the original 'roundhouse' base of the windmill. The others are in the stable block and were built using the existing 19th-century handmade bricks. For breakfast, free cereals, fruit juices, bottled water, tea/coffee and biscuits are provided in your room. Full English breakfast available at weekends (additional cost).